Welcome to the post-PC drum machine age. After years of leaving fans of standalone MPCs in the cold, Akai have unveiled machines that promise the flexibility of computer software – minus the computer. Even the mid-range MPC Live has a surprisingly generous complement of I/O. The Quick Start manual is also online. Note that you can dynamically get hands-on control of parameters via what Akai call “Q-Link,” and you can sample live right on the hardware. Both the two USB-A ports and SD card slot let you add storage, so you’ll have no lack of absence to samples – plus 10 GB of content are included. USB connectivity means this is a computer accessory when you want it to be. USB MIDI can be transmitted in both directions, and you can use the MPCs along with desktop MPC software – which means access to your plug-ins, and drag-and-drop support with DAWs for arranging. We’ve already seen reasonably clever MPC software in the computer-tethered products. Now, the touchscreens on previous Akai products haven’t been the best ever, in my experience – though the bar is set high when you’re used to things like Apple’s superb iPad screens. But it absolutely beats menu diving – compare, for instance, the experience of using Pioneer’s new sample hardware. And perhaps they’ve upgraded the touchscreen component; that’ll be interesting to see. The audio track thing to me is huge, as it vastly increases the range of what you can do with just the MPC. I suspect for a lot of producers, that’s enough to finish tracks (even if they move back to the computer for mixing and mastering). It seems that basically what you’re getting is the MPC Touch with the software running internally on an embedded system – and some significant upgrade to I/O and better software. But given the MPC Touch was already pretty darn good, this could move the MPC Live into must-buy territory. 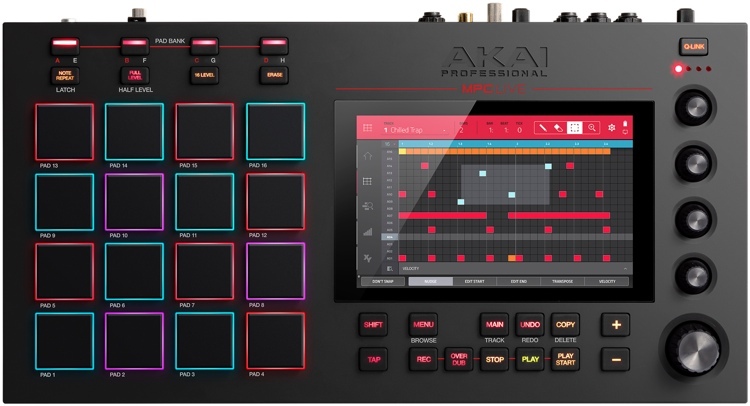 Of course, if you want something bigger and more powerful / own a car to carry it around or want to leave something in the studio, there’s the US$$2,199 MPC X.
It’s got everything the MPC Live has, with a bigger form factor, a bigger screen, more dedicated controls, and more I/O. Another sign that this is power over portability – there’s no mention of battery power. A big, articulated screen, extra hands-on control, and loads of I/O are what you get on the MPC X, in exchange for being a bit less mobile and paying over two grand. The leaked specs don’t yet have weight, but then, you’re not really buying this one for portability. That’s all very cool, and it should be big in the American market where larger equipment is more desirable. But worldwide, the MPC Live is already powerful enough that it seems it’ll be the winner. Also leaked – the MPC 2.0 software sounds great. And if you don’t have the cash for this new gear, and already own an MPC product, you’ve got an upgrade path. Plug-in programs will only function when attached to a computer running MPC Software. I really like the drag-and-drop capability. That’s huge with Maschine and Ableton Live, and it could be with this device, too. Make clips on the go, or onstage, then dump them back into your DAW to do a more final arrangement? Sounds perfect to me. And it makes clear where this is going when I say “post-PC.” It’s not that the PC goes away; it simply becomes a more powerful studio tool, while you focus on hardware live (or when you want to improvise away from the sometimes-uninspiring computer screen). Who should be a little nervous? All the competition, clearly. 1. Computers tethered to software when a standalone solution would be more effective. 2. Hardware that makes you menu dive with awkward combinations of buttons as if you’ve never seen a computer before. That doesn’t apply to everything. Computers still have plenty to offer – endless software choice, which means unique sound possibilities, plug-ins, big displays, and powerful arrangement features. And not all standalone software should emulate computer software. Sometimes what makes hardware appealing is integrated sound capabilities and more limited controls. I also don’t think the computer is going to become extinct onstage – it’s just going to make way for dedicated hardware solutions in certain use cases. And that trend is already well underway. It’s hard not to feel Native Instruments have missed a major opportunity here. I can’t imagine anyone buying the flagship Maschine Studio when it lacks so much connectivity, let alone the need for tethering to a computer, especially with a standalone MPC Live hitting this price point. And ironically, while NI have through their history pioneered the use of native software, they could have taken that same native software and made it run standalone. They certainly could have shipped a Maschine that looked like this – and I would have been one of the first to buy it. But even as a devoted Maschine fan, I’m going to wonder about whether I really want to play live with a laptop when I could ditch it for an MPC with similar capabilities. (They’re safer at the low end – four hundred bucks for Maschine Jam gives you some insanely powerful software with tricks the MPC lacks, and hardware.) The same is true of the Traktor line – there really is some truth to the resistance to DJs showing up with computers. Pioneer have their own market niche because their Toraiz sampler has sync capabilities with the CDJ. But since DJ/producers often differentiate between live acts and DJ sets, I expect a lot will choose to do a live set with an MPC and just use CDJs when DJing. That’s already the case with the Elektron machines you see so often in live sets. Elektron probably have the least concern. Their user base is pretty loyal, and the Analog line sounds absolutely terrific. But even some would-be Elektron customers may decide a sample-based workflow and more DAW-style flexibility is desirable – without all the menu diving. Even Ableton ought to have a look at this and wonder if the Push is going to stay as desirable as a performance solution. Roland also missed a chance to get an entry here, though I suspect they would need added software capabilities. Don’t get me wrong – there are still advantages to computer software. When it comes to more complex arrangements, I’m all about a big screen. 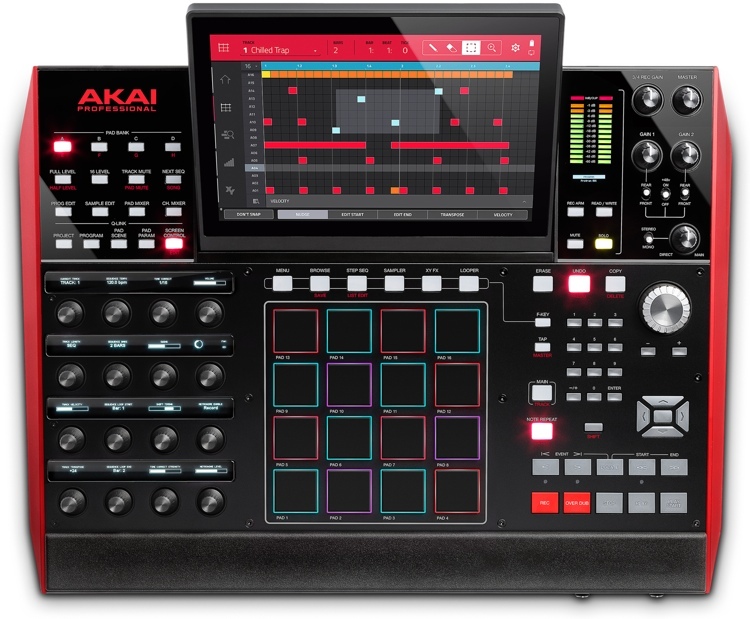 And past leaks suggest the new Akai hardware won’t support plug-ins. So these machines for many producers will be about live performance. Then again, there’s nothing stopping you from using the MPCs with a computer for those contexts. The category this will clearly damage is the computer-plus-machine area — meaning things like Push and Maschine look less desirable. I’ll definitely be keen to test this. It’s still down to software – despite the embedded context, that’s what you’re testing. And I’m curious to see how you would integrate this with studio workflows on the computer. But long before NAMM, it seems we have the big NAMM story for producers.